Watch out, young 'uns, here comes Betty! Betty White is getting her own reality show, and we couldn’t be more excited. At first, we thought it would be about the trials and tribulations of life as on octogenarian super star – radical! Then we actually read the news, and it’s going to be an old people’s version of Punk’d, with a merry band of senior citizen pranksters playing jokes on the weak and feeble – those younger than them! “Betty White’s Off Their Rockers” is a sure-fire hit, appropriated from a Belgian concept that has spread like wildfire through other European countries. We love us some Betty White, and watching old people prank young people is such as a delicious twist. Our ageist society often equates youth with virility and age with death, so it’s wonderful to see it all come full circle. 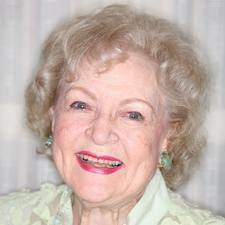 Getting older is a fantastically enjoyable process, and no one makes us cherish each growing year like Betty White. Look how much fun she is having – she’s definitely someone to look up to, and laugh until the milk comes out of our noses with. Bring it on Betty, we dare you to prank the Unicorn Booty!